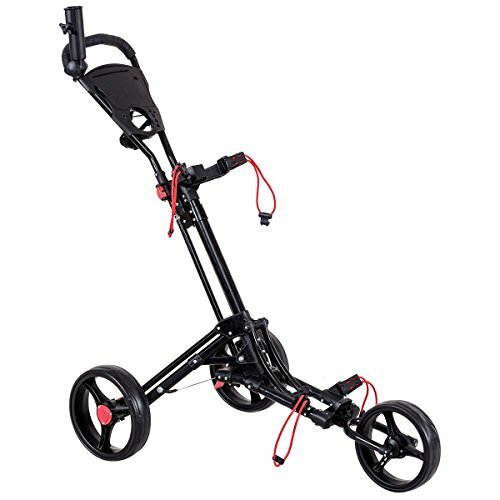 The all terrain 10" inch rear wheels folding 3 wheel golf cart brings the smooth gliding feature. The Goplus Golf cart is equipped with features that most golfers want, including umbrella holder, scorecard holder and beverage holder on the handle. It has quick folding operation and foot brake.